A sinking concrete floor is one of the most frustrating and vexing problems you’ll have to deal with as a homeowner. Even if the sinking concrete floor is just your garage, you’ll soon start to worry that it is only going to get worse unless you do something about it. But how do you unsink a slab that weighs hundreds or even thousands of pounds? Call B & B Concrete Lifting in Chicago. We have decades of experience in turning your tipped concrete back into the right direction with a process that is much more affordable and less dirty and time-consuming than having your concrete floors poured over. 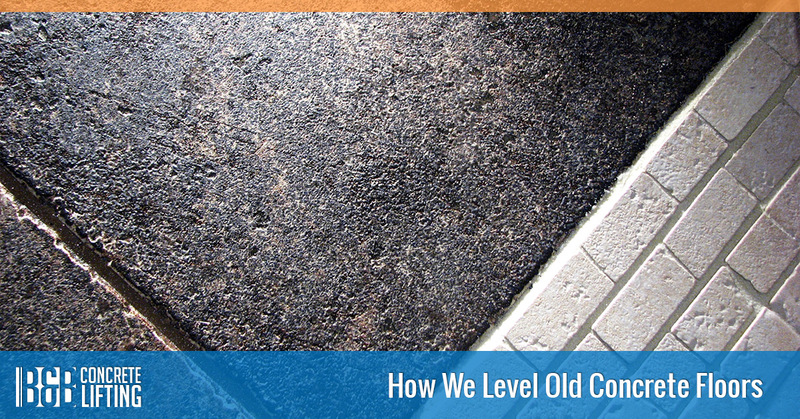 Read on to find out the basics of our innovative concrete repair process and how it can help make your concrete floor (or stoop, patio, steps, pool deck, or sidewalk) look the way it used to! Why is the Concrete Sinking or Tilting? 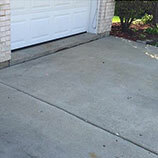 After the initial annoyance and anxiety of noticing that your concrete isn’t staying flat and uncracked, you probably asked yourself why a heavy concrete slab could start tilting, sinking or cracking. There are two possibilities for why your slabs aren’t staying put. The first is the end result of a process called soil washout. With washout, water from precipitation or from improper drainage around your home is getting into the soil under the concrete floors and pulling soil with it as it drains away. Over time, large sections of the soil under a slab can disappear. These spaces are called voids, and they allow a lot of extra pressure to be put on the concrete directly above them which leads to cracks and sinking. While some voids are small enough to be essentially harmless, many of them will only get bigger and cause more cracks and tilting. 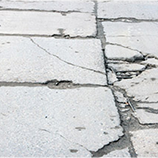 The second way your concrete can sink or crack is called compaction. Compaction occurs when the soil under your slabs, either because it wasn’t properly packed before the concrete was poured or because of the inexorable march of time combined with the heaviness of a slab, gets flatter and thinner. 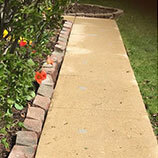 Compaction can take place uniformly under a slab but more often than not, it happens unevenly which causes your slabs to tilt and sink and then crack in one or two places. What’s the Best Method of Concrete Repair? Because of the way that compaction and soil washout impact your concrete, you only have a few options to repair your concrete. First and most expensive, you can have the slabs poured again. This is a labor-intensive process that requires a large crew and at least a few days of work. They’ll start by jackhammering out all of your existing concrete and then pour a new slab. Hopefully they’ll re-level the ground and check for any areas that might be prone to compaction or washout but that’s not a guarantee. 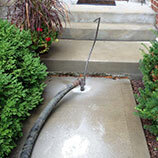 The better, less expensive option, is to call B & B Concrete Lifting to lift your concrete. We don’t have to replace your slabs at all. Instead, we drill a small hole in the concrete and then inject a substance that both fills voids and lifts concrete off of compacted soil. Our process is quick and clean and the material we use is resistant to future compaction and soil washout. Contact us today to get an estimate on your project!